It relieve acute and chronic pain, including headache, back and neck pain, muscle aches, and menstrual cramps. 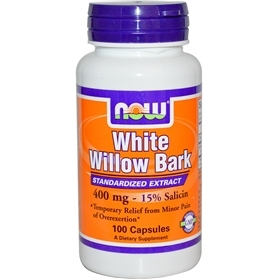 It is also helpful for arthritis, and many people taking white willow bark have experienced reduced swelling and inflammation in the back, knees, hips, and other joints. Suggested Use: As an herbal dietary supplement, take 2 capsules 2 to 3 times daily as needed.